Around the world, massive numbers of tall power pylons wind their way through the landscape, carrying the cables that deliver the power from power stations to cities and towns. The problem with erecting tall structures such as power pylons is that there is often opposition against them, usually based on the “visual pollution” they cause. However once they are approved and erected, they are there and their usage might as well be maximized. Power pylons are often built across wide open landscapes such as plains, or in mountainous areas, and in these locations there is often plenty of wind. 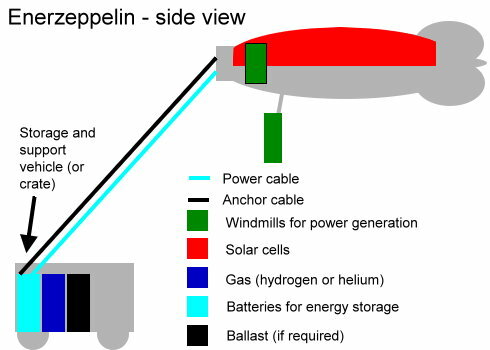 So what I would like to suggest is that in future, in locations where there is sufficient wind, power pylons be fitted with a medium-sized windmill at the top. 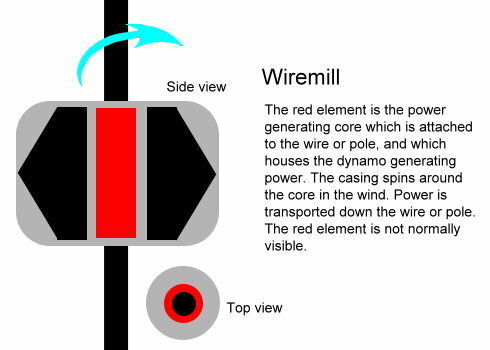 This may require some reinforcement of the pylon, but if the size of the windmill is kept within the design limits of the pylon, additional costs should be limited. 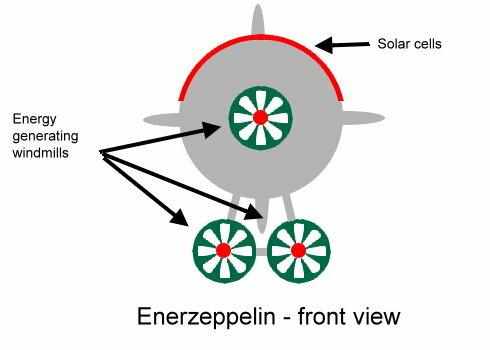 Alternatively, a new pylon design could be developed that would enable the fitting of a larger windmill at the top, for use in locations where the wind quality warrants the deployment of the new type of pylon which would obviously somewhat more expensive than the standard type, the principle of which has been in use since the early days of electricity. A handy thing about fitting windmills to power pylons is that the power could be fed straight into the grid on the pylon.